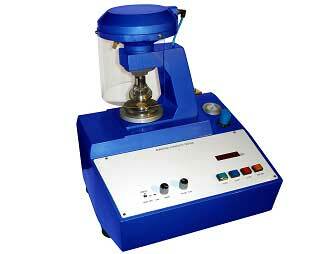 We manufacture and supply high quality Digital Bursting Strength Tester. Our product is highly known for uniform hydraulic pressure produced through electric motor and gear with fully automatic control for pneumatic clamping of specimen and testing cycle. Our Digital Bursting Strength Tester is available complete with memory for retaining peak value, automatic or normal zero setting, overload and over protection.